Pure oats are healthy for all and safe for those on a gluten-free diet. Oats are low in fat and a good source of fibre, iron and other nutrients. Pure oats provide fibre and nutrition often lacking in the gluten-free diet. They are a very good source of beta-glucan, and are high in vitamins, minerals and antioxidants. 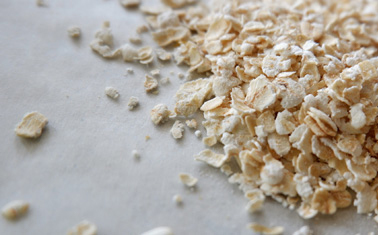 Whole oats are the only source of a unique group of antioxidants called avenanthramides, believed to have protective effects against heart disease. Oat Flakes are mainly eaten as porridge, as an ingredient in breakfast cereals, and in baked goods (oat cakes, oat cookies, and oat bread). Over the past few decades, oats have become a very popular "health food." Keep dry in sealed container. Best in fridge or freezer. Large or small, we supply all......Canada wide.